Shandong Rock Drilling Tools Co., Ltd was established in 1993. Now she has become a professional production base of series of rock drilling tools with scientific research, design and trading together. She owns fixed assets RMB147 million Yuan, covering an area of 60000 square meters, and more than 400 workers and staff, including 108 professional personnel. Her annual production capacity of rock tools is over RMB130 million Yuan. Shandong Rock Drilling Tools Co., Ltd is awarded Shandong Province High-New Technical Enterprise and Shandong Province Famous Enterprise of Patent in China. She has her own Import and Export Right. She has set up ISO9002 quality guarantee system and got the certification of international authorities. Shandong Rock Drilling Tools Co., Ltd has strong technical force, and producing experiences, and advanced equipment, and complete inspection measurement system to make series rock tools products. Our main products are SANSHAN brand rock drilling tools and mining tools, including five series, more than 500 types. 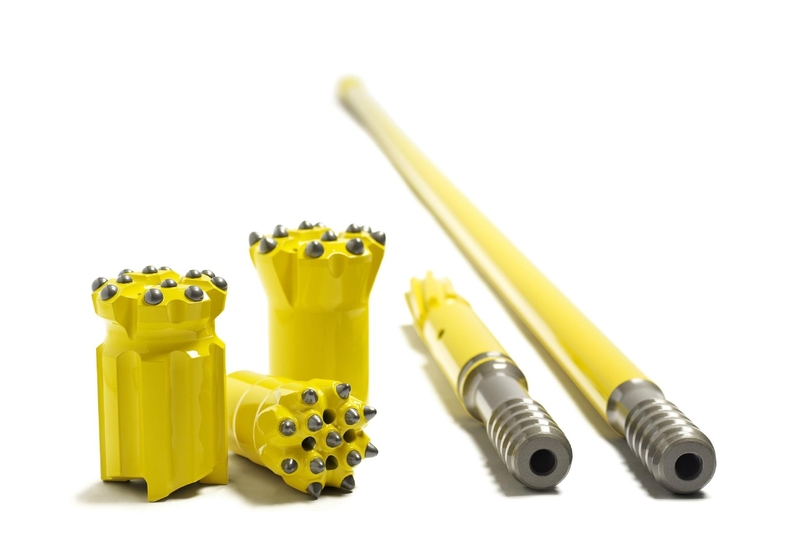 They are Tapered Drilling Tools, Threaded Extension Drilling Tools, Downhole Tools, Tricone Drilling tools and Coal Mining Tools. Our products are well sold all over the China market,exported to USA, Japan, Canada, Australia, South-east Asia, and Harsakstan etc. All the products have got the approval of customers. In the new millennium, we will take the favorable opportunity of China’s entering WTO, to adjust and refresh our strategies and strengthen our core competitive power to adapt to the globalized world economics. And we will always take the quality Principle of Quality First and Customer uppermost, try our best to satisfy our customers with the first–class products and services. Mr.Li Mingsuo, President and General manager, together with the staff sincerely welcome friends both domestic and abroad to come for business cooperating.